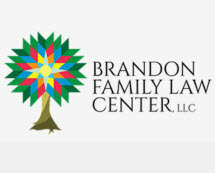 Brandon Family Law Center, LLC practices in a wide range of family law, probate, and estate planning matters for clients in the Tampa area, Hillsborough County, and statewide. We are dedicated to compassionate service to our clients while providing the highest quality legal representation. Our attorney and paralegals are committed to customized legal solutions that avoid costly, bitter litigation whenever possible. Mary L. Greenwood offers 20 years of experience as a family law lawyer. Hillsborough County Family Law Attorney - Tampa Bay Divorce and Property Distribution Lawyer - Brandon Modifications Law Firm Florida Adoption Attorney - Florida Surrogate Arrangements Attorney - Tampa Bay Estate Planning Lawyer Tampa, Florida Elder Law Lawyer - Brandon, FL Probate Administration Lawyer - Florida Legal Guardian Attorney Tampa Bay FL Family Law Attorney Mary L. Greenwood Call us at 813-653-1744 or contact us on-line to describe your legal issue. The Brandon Family Law Center, LLC, represents clients in the Tampa Bay area and throughout the State of Florida, with a focus on Hillsborough County, including Brandon, Tampa, Temple Terrace, Apollo Beach, Plant City, Mango, Seffner, and Riverview.